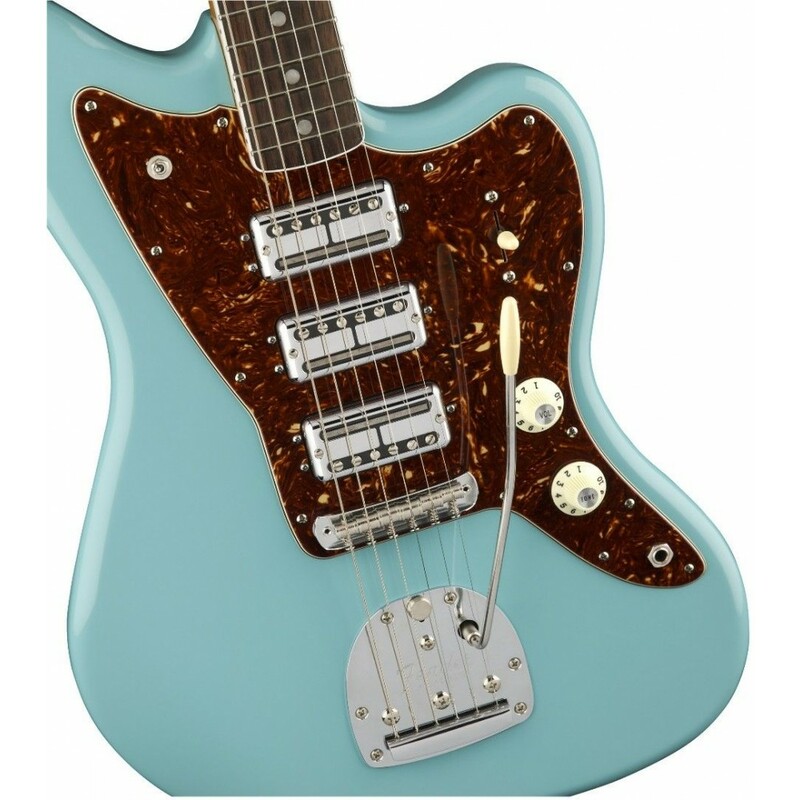 Designed and voiced specifically for the Triple Jazzmaster by pickup guru Tim Shaw, this calibrated pickup set sports sleek chrome Filter’Tron covers. 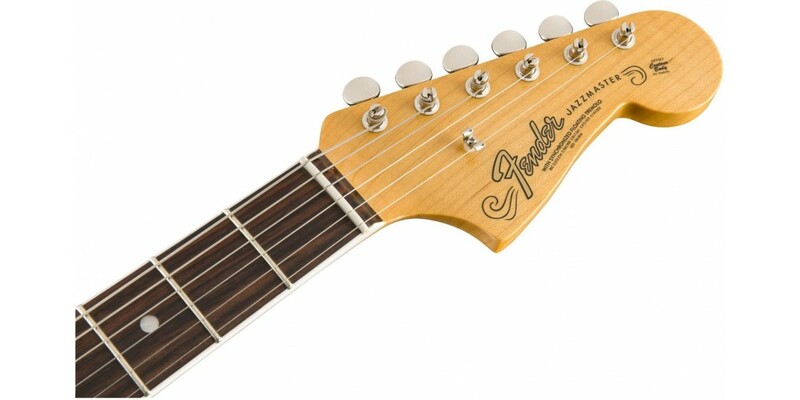 The throaty, powerful-sounding bridge pickup is matched to chiming neck and middle pickups for flexible sound. 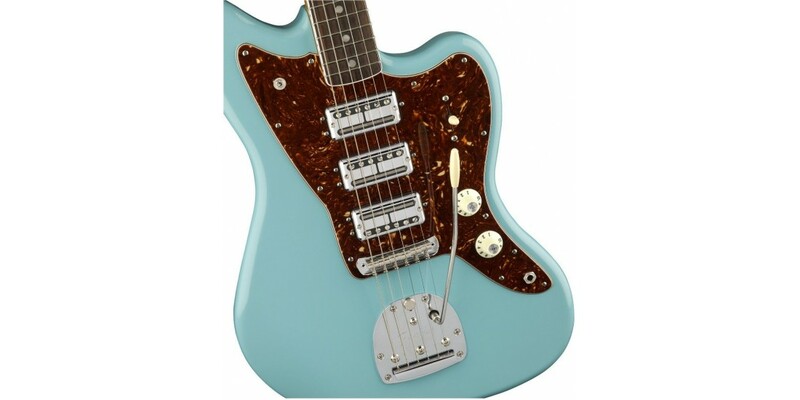 It wouldn’t be a Jazzmaster without some electronic twists, and this model sports a standard 5-way pickup switch with traditional Strat layout and a special 2-way toggle switch. 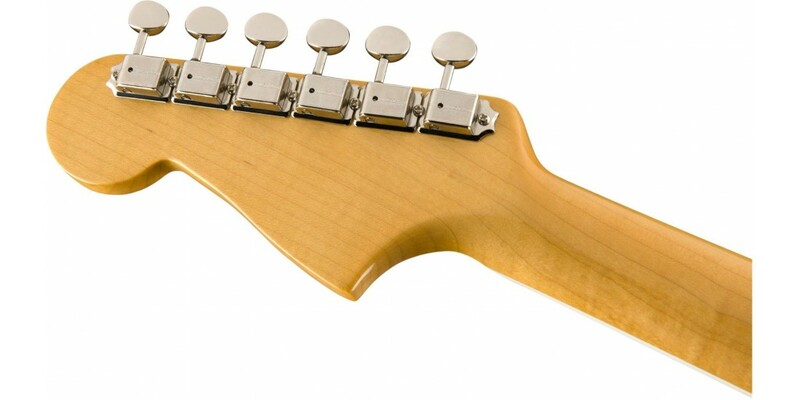 This extra switch uses position 3 on the pickup selector to activate the neck and bridge pickups in tandem. 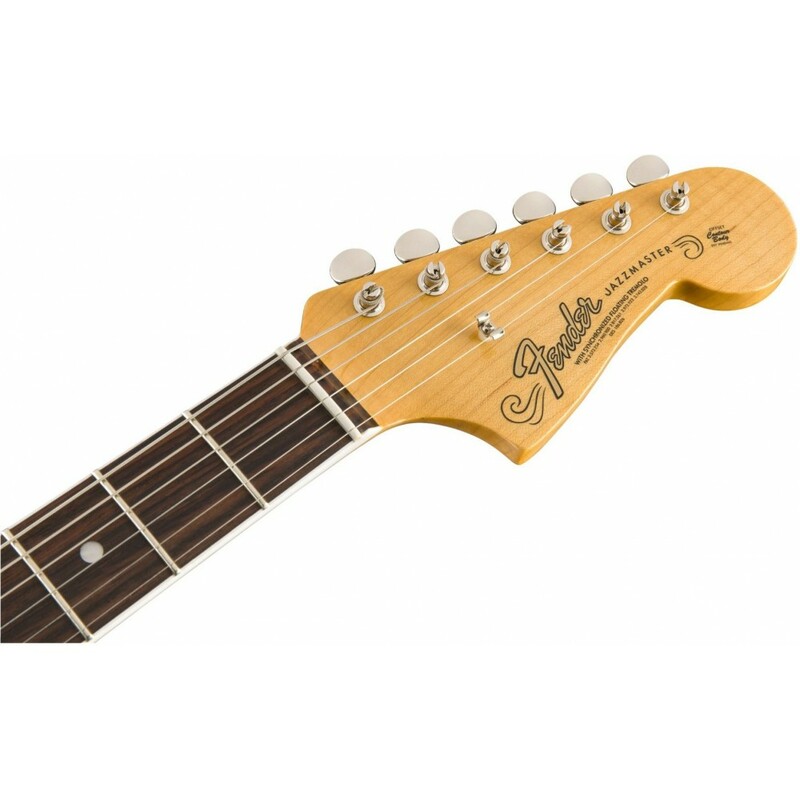 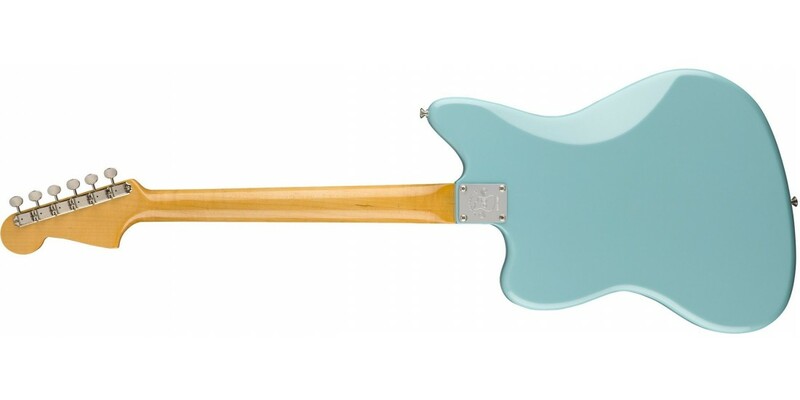 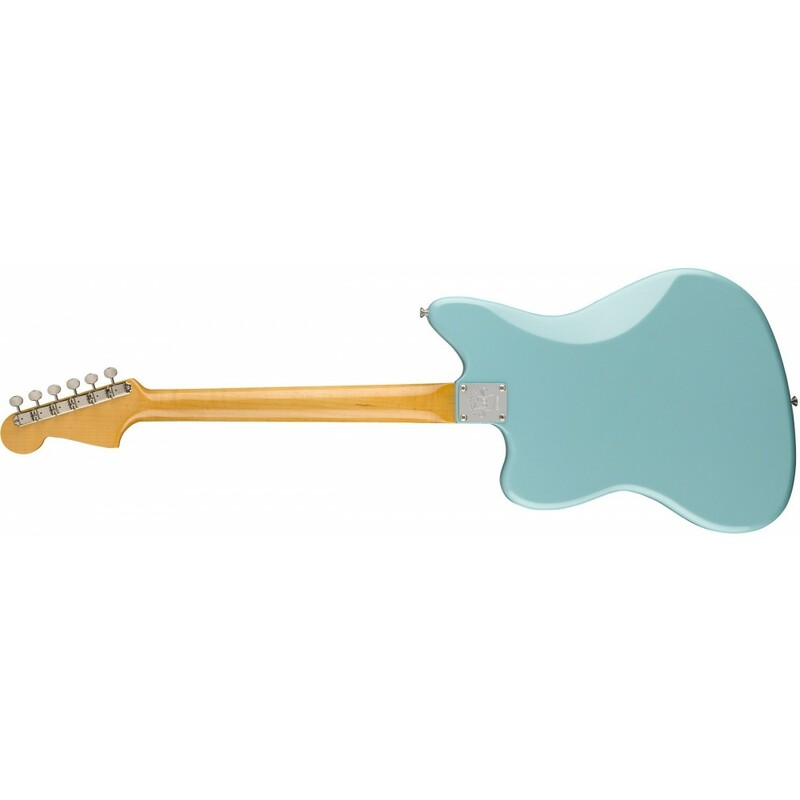 The "\\'60s Oval C"-shaped neck bears a 9.5"-radius fingerboard with 21 narrow-tall frets for easy playability. 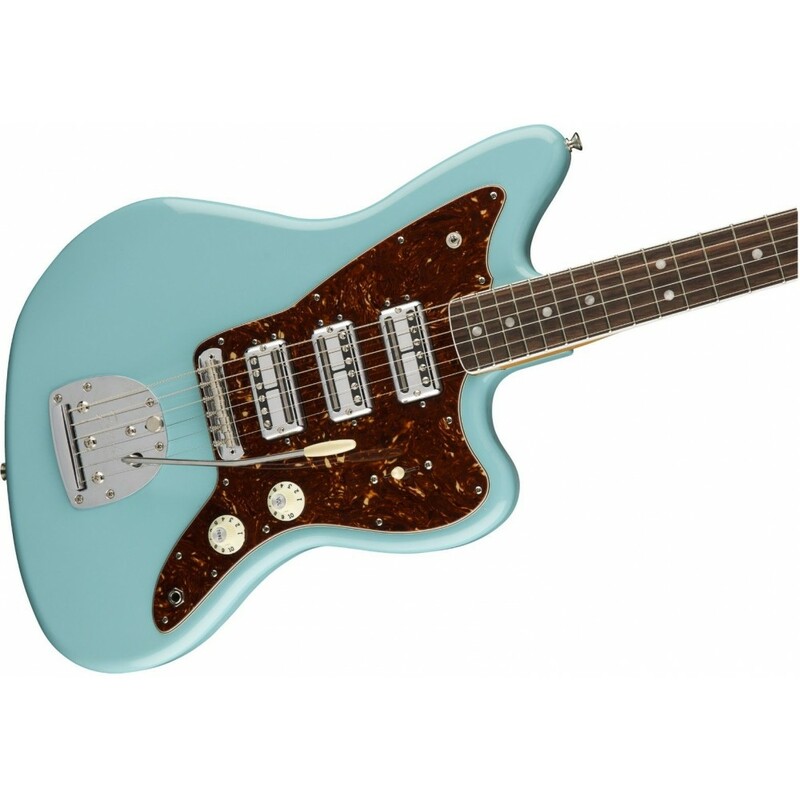 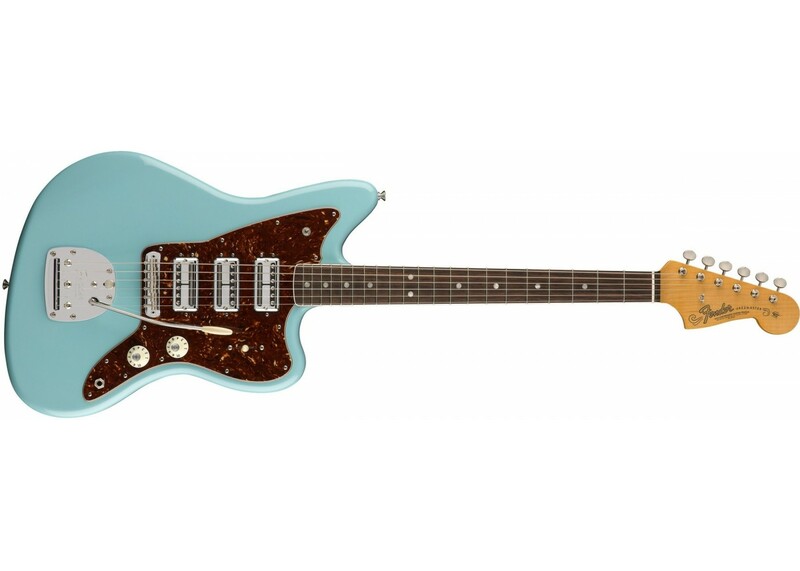 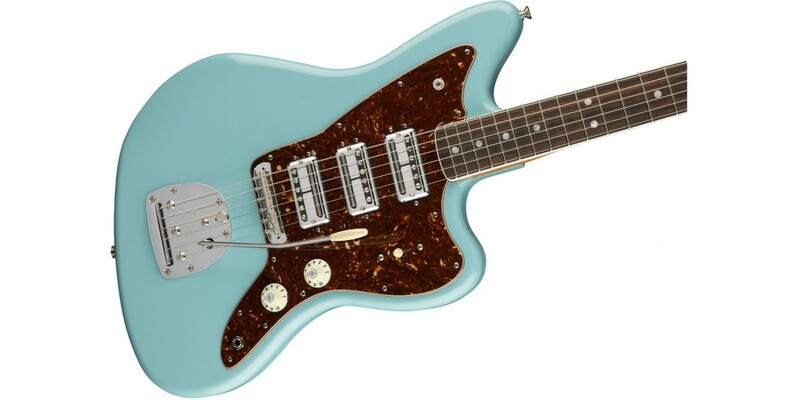 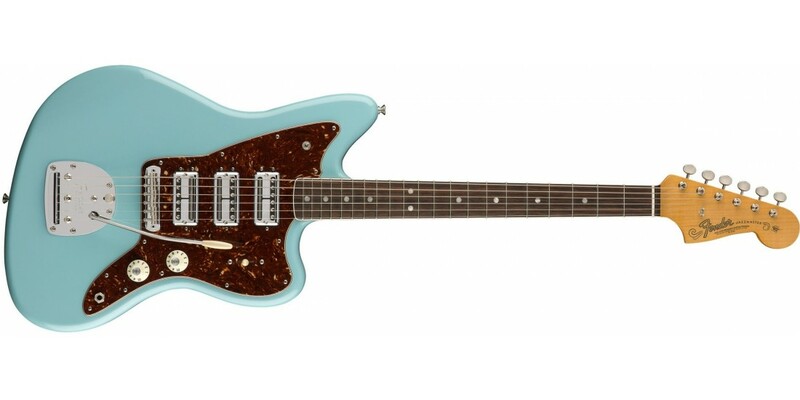 Other authentic touches that grace the Triple Jazzmaster include a vintage-style Jazzmaster tremolo bridge with lock button, screw-in arm and brass Mustang saddles, Pure Vintage single-line “Fender Deluxe” tuning machines, dual-wing string tree and 4-bolt vintage style neck plate engraved with a “60th Anniversary” logo. 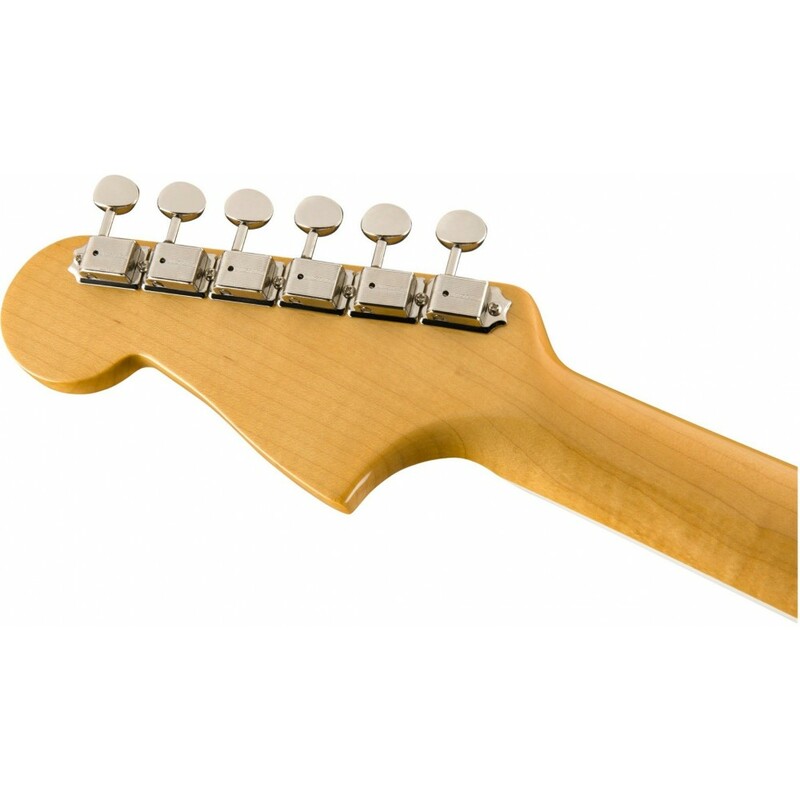 Neck Shape 60s Oval "C"